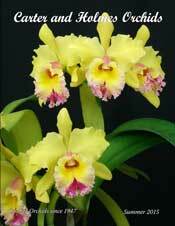 Description: Orchids and Tropical houseplants for growing in and around the home. Carter and Holmes Orchids has been hybridizing, growing and selling quality orchids for over 60 years. We sell both retail and wholesale; domestic and internationally. Come visit us and see our beautiful plants for yourself!